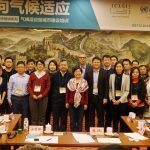 Together with UNISDR ONEA GETI and the Center of Science & Technology for Construction of the Ministry of Housing and Urban-Rural Development (CSTC/MOHURD) in China, ICLEI Urban Resilience Training was organized in Beijing for the first time in December 2017. The two day training convened over 50 participants comprising of senior adaptation and disaster risk reduction experts from abroad and home, and officials from 11 sub-national governments across the country, among which 8 cities were National Climate Adaptation Pilots (NCAPs). These NCAPS are mandated by the central government to develop local climate adaptation master plan and substantially increase their capacity in adapting to climate change by 2020. Thus training components were particularly shaped to align with NCAPs Work Plan issued in early 2017 to allow optimization of capacity building activities in this domain. Resilience Maturity Model: a database of recommended policies, embedded in a framework that defines a city’s stage of resilience ‘maturity‘ and fosters a common understanding of the ideal resilience-building process among relevant stakeholders. City Resilience Dynamics Tool: a simulation model that presents the effects of progressively implementing different policy combinations year-by-year, up to 40 years. Resilience Building Policies Tool: a database of case studies from European cities with a wiki feature that allows them to upload their own case studies. Risk Systemicity Questionnaire: an online tool that helps to identify and prioritize risk scenarios as part of a preliminary risk assessment and suggest mitigating actions. Resilience Information Portal Handbook: a handbook that provides guidance for developing a user-friendly, online collaborative platform for the whole process of building resilience, designed to support communication among city administrations, stakeholders and citizens. 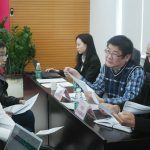 On 17th December 2018, a one day capacity building and consultation workshop was delivered in Zhuhai for over 50 civil servants from related departments jointly by ICLEI East Asia, Zhuhai Municipal Government, and UNISDR ONEA GETI. With pressing needs in protecting its population and economy from climate disasters exemplified by typhoons, Zhuhai city has incorporated resilience into urban planning procedure –one of the very first practices in China, and actively seeks international cooperation and benchmarking opportunities to reduce its disaster vulnerability i.e. Zhuhai City delegation led by Vice Mayor visited ICLEI Brussels Office and 3 Members in Iceland and Portugal on their experience in building urban resilience in November 2018. The USAID-funded Local Action for Biodiversity: Wetlands South Africa Project was implemented between October 2014 –June 2018 in 11 municipalities across South Africa. The project aimed to improve local government understanding of the value of wetlands, initiate the process of integrating wetlands into local government planning and to implement on the ground wetland projects. Through the project, 11 ‘State of Wetland’ Reports were developed specifically highlighting how wetlands can support municipalities with addressing the impacts of climate change as well as some of the barrier to unlocking this potential. Building on from this, the project municipalities were guided through the process of developing 11 ‘Wetland Strategy and Action Plans’, which directly support the municipalities with mainstreaming wetlands into land use planning to support municipalities with developing along a more sustainable trajectory. 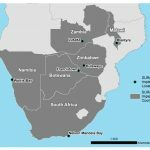 Three pilot climate change adaptation projects to the value of R1 133 200.00 were implemented and a number of tools and guidelines (including Wetland Management Guidelines and Introduction to Finance Mechanisms & Developing Bankable Project Proposals) were developed to support more effective wetland management. The LAB: Wetlands SA project was awarded two national biodiversity awards for the work undertaken in the field of biodiversity and environmental education. 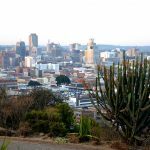 Improved Municipal Planning in African CiTies − IMPACT − for a climate resilient urban future is a three-year project implemented in Zimbabwe and Malawi. 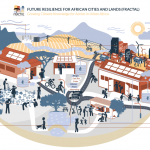 The project aims to investigate how enhanced collaboration mechanisms in municipal planning in African cities can enable climate resilient development. Research conducted during the first year of the project, consists of the development of the project’s comprehensive Monitoring, Evaluation and Learning framework; situational analyses for each project city; two reports outlining available climate information for each project country; city visits to Blantyre and Harare; and analysis of information gathered on city visits. During the city visits, key informant interviews were undertaken, and learning engagements conducted, which included stakeholder mapping exercises and informative discussions around existing collaboration mechanisms. Learning engagements and interviews with local government officials, researchers, civil society groups and NGOs have identified a number of examples of existing collaboration mechanisms, including multi-sectoral forums, conferences, community-led mapping, ward committees and think tanks. 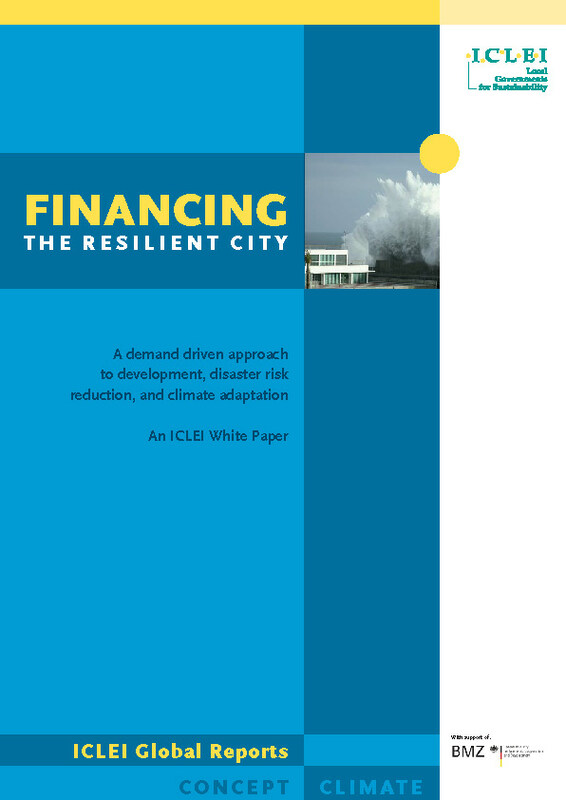 Those mechanisms identified as contributing towards enhancing municipal planning for climate resilient development have been unpacked further to determine what the barriers and enablers are to implementing and maintaining them. Through engagement with stakeholders in the first year of research, we have further refined our research focus areas in both Malawi and Zimbabwe. The cutting edge programme, Urban Natural Assets for Africa (UNA), initiated in 2014, is designed to improve human well-being and build urban resilience through integrating nature into land use planning. To date, the UNA programme, funded by the Swedish International Development Cooperation Agency (Sida) through SwedBio at the Stockholm Resilience Centre, supports three flagship projects: UNA Africa, UNA Rivers and UNA Coasts and is currently being implemented in eight Sub-Saharan African cities. 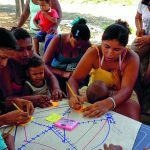 The UNA projects have effectively established new methodologies and learnings for co-production and collaboration. The UNA approach to mainstreaming of nature and biodiversity into local level planning is strongly framed by the needs of African stakeholders which encourages strengthened knowledge and engagement processes. As a result, the programme ensures a fundamental shift in planning and decision making; one that incorporates ongoing learning and knowledge construction, reflection and relationship building. In addition, the programme has developed a wealth of lessons and practical knowledge related to its experimentation in co-production and natural asset mainstreaming whilst each project city has a unique set of strategic activities that are rooted in the local context (see the individual project webpages for more on these specific activities). The UNA programme has effectively created a network of African cities working on nature-based solutions and urban natural asset mainstreaming. Part of the multi-consortia Future Climate for Africa (FCFA) programme and jointly funded by UK’s Department for International Development (DFID) and the Natural Environment Research Council (NERC), FRACTAL aims to advance scientific knowledge about regional climate responses to human activities. Three explicit objectives drive FRACTAL activities, namely: i) deepen understanding of city specific contexts; ii) explore the decision-making space and look for opportunities to better incorporate climate information/knowledge into local decision-making contexts; and iii) advance understanding of physical climate processes that govern the regional system, developing robust climate information. FRACTAL has established new approaches and learnings for improved collaboration and innovative transdisciplinary research by integrating across disciplines, nations, sectors, and between academia and society. 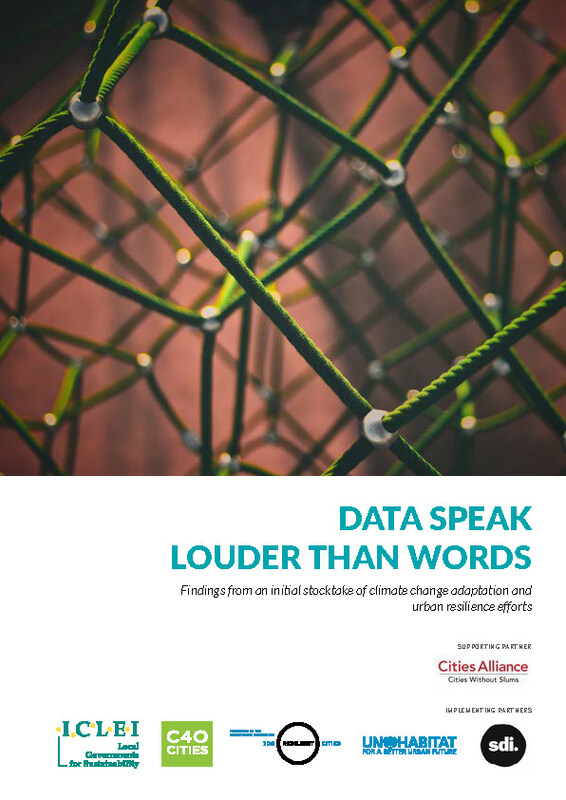 This new approach to fundamental climate research is strongly framed by information needs of African societal decisions, which encourages strengthened knowledge processes and the need for co-production. This has emerged through establishing the decision-context as the catalyst for relevant research questions, and by facilitating the input of stakeholders as equal partners from the beginning of the activities. FRACTAL’s specific achievements can be found here. 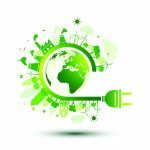 Urban-LEDS II is an implementing project of the Global Covenant of Mayors for Climate & Energy (GCoM). 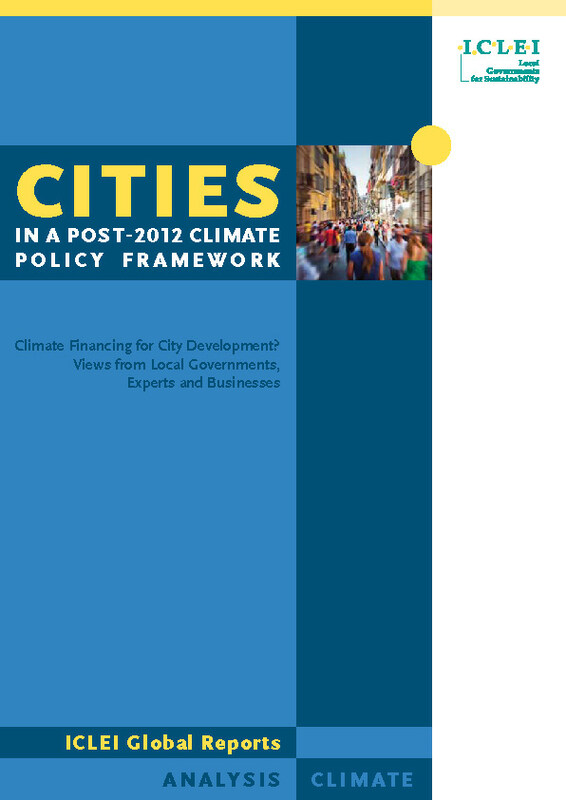 Technical assistance is provided to cities and towns in 8 countries with exchanges with 16 European cities, helping them develop robust strategies and integrated climate action plans, underpinned by knowledge gained from risk & vulnerability assessments and greenhouse gas emission inventories, and training to access finance and enhance multi-level governance. 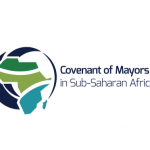 With over 150 signatories, the “Covenant of Mayors in Sub-Saharan Africa” (CoM SSA) provides support to African cities on their climate and energy challenges, by increasing their planning capacities and providing them with a platform to share knowledge and best practices. 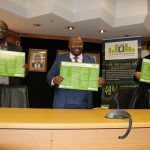 CoM SSA signatories have voluntarily pledged to develop Sustainable Energy and Climate Action Plans (SEACAP), based on the three pillars of CoM SSA, namely adaptation, mitigation and energy. As part of the CoM SSA a comprehensive Guidebook was developed, which includes a chapter on adaptation, as one of CoM SSA’s pillars. 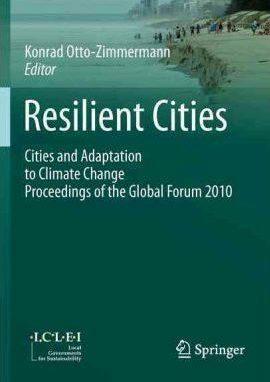 The chapter reflects challenges faced by local governments in the field of adaptation and resilience in Africa and presents best practices, sources of information, tools and methodologies already developed to adapt to the effects of climate change, at the local level. Apart from a comprehensive guide to adaptation and resilience planning, the CoM SSA conducts training and capacity building activities, supports multilevel governance activities in signatory cities, facilitates and supports activities around access to finance at the local level. The SURe Water for Africa project ran from 2011-2017 and worked with 6 cities, in 6 countries, in Southern Africa to improve planning for water and sanitation in the context of climate change, in particular in relation to the impacts of flooding and drought. The project centred on three main pathways: 1) to improve understanding, 2) to strengthen and support integrated planning and, 3) to strengthen knowledge management. In the context of climate change and resilience, water is one of the most critical sectors to underpin both urban development, human well-being and ecosystem health. Funded by the European Commission the project, together with politicians, technical city staff and communities inter alia sought to build knowledge and understanding of the projected impacts of climate change at the local level. The key output of the project was the development of a tailor made local climate adaptation action plan for water and sanitation, which was co-developed through participatory engagements and dialogues with key local stakeholders. The local action plans were informed by a risk and vulnerability analysis carried out in each of the cities, which sort to identify key urban water and sanitation infrastructure and map vulnerabilities to the projected impacts of climate change therein. Working with 50 cities from across eight African countries, ICLEI Africa, in partnership with the United Nations Office for Disaster Risk Reduction (UNISDR) supported cities to better understand their preparedness in relation to disaster risk reduction. The project, which was funded by the European Commission for International Cooperation and Development (EC DEVCO), promotes the implementation of the Sendai Framework for DRR 2015-2030 at local level and the Making Cities Resilient Campaign. The project focussed on supporting each city to carry out a self-assessment, using UNISDR’s Disaster Resilience Scorecard for Cities. The engagements provided an opportunity for the cities to rate their disaster preparedness in line with the ten essentials for Making Cities Resilient, including governance, finance, planning, institutional capacity, multi-stakeholder involvement and more. City officials welcomed the opportunity to learn, engage and participate in workshops around disaster risk reduction. Peer-to-peer learning exchanges were particularly useful for benchmarking and knowledge sharing. The project highlighted the determination and critical need at the local level to increase disaster preparedness in the cities. 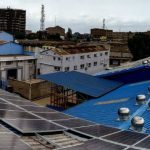 The Climate Action Planning (CAPs) Project aims to support African cities become compliant with the Global Covenant of Mayors for Climate and Energy Programme (GCoM). The GCoM aims to support cities globally with local climate change mitigation and adaptation action by providing guidance on how to develop (1) greenhouse gas (GHG) emission inventories; (2) GHG emission reduction target setting reports; (3) climate hazard reports; (4) risk and vulnerability assessments; and (5) climate change mitigation and action plans. Through funding from UN-Habitat, ICLEI Africa is currently implementing the CAPs Project in Nacala, Mozambique and Moroni, Comoros to not only support these two cities with GCoM compliancy but to also support these cities with reducing their GHG emissions footprint and increasing their adaptive capacity to respond to the impacts of climate change. 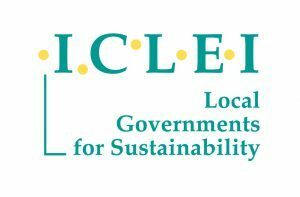 To date, with the support of ICLEI Africa, Nacala and Moroni have both completed their GHG emission inventories, GHG emission reduction target setting reports, climate hazard reports and risk and vulnerability assessments. The Transition Handbook and Training Package outlines the phases of an integrated process management cycle, advises on supporting methods and examples of city case studies. The Training Package complements the handbook with worksheets and exercises to support city practitioners and decision-makers engaged in climate adaptation planning and implementation. The Assessment tool helps estimating the cost of health impacts caused by climate change. The tool is available as an Excel spreadsheet along with an accompanying guidance report. 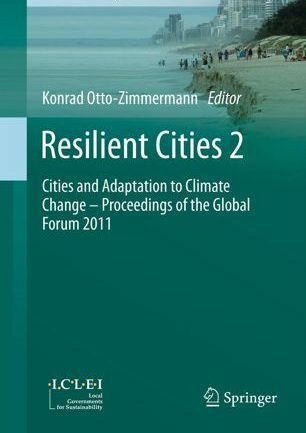 “On Urban Resilience”, an audio-visual guidance tool, is a compilation of over 100 short interviews from 33 climate change adaptation and resilience experts, designed to help cities find information on climate change impacts and building urban resilience, and covering topics from local climate modelling to how to secure political commitment for climate action. The RESIN urban adaptation e-Guide is an online platform that supports the entire process of developing and implementing an adaptation plan with guidance, checklists, practical examples, and advice on supporting tools and measures. The European Climate Risk Typology is an interactive online map that helps you to visualize, describe, compare and analyse climate risk in European cities and regions. IVAVIA (impact and vulnerability analysis for critical infrastructures and built-up areas) is a seven-module methodology to assess climate-related risks and their effects. IVAVIA provides guidance on how to prepare, gather, and structure data for your assessment; to quantify and combine vulnerability indicators; to assess risk; and to present outcomes. The Adaptation Options Library is a searchable database of all kinds of adaptation measures (covering climate risks including flooding, heat stress and drought), of particular use to identify and prioritize adaptation measures.